Home Callback is an application that allows making calls from any external mobile number with the payment of the call by your TSim card. During the time between trips, you can set the unconditional call forwarding to any external mobile number and easily start talking. Simple. 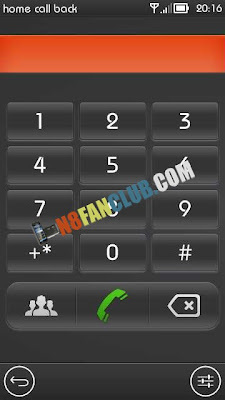 Set the unconditional call forwarding from 372 *** to CC *** number. Dial any international destination number from your phone as usual.Home Callback works only with numbers, which were redirected from 372 *** numbers. Compatible with S^3 / Anna / Belle Smart Phones.